The Galapagos Islands are as pristine a locale as anywhere on the planet, but our sensitive balance of nature is easily threatened. That’s why our population is highly restricted and, with few exceptions, no one is allowed to move to the Islands to live here. It also explains why there are on-going intensive efforts to eradicate non-endemic animal populations (such as cats and goats) that threaten the environment and endemic species. Likewise, our breeding programs for tortoises and preservation programs for birds such as the flightless cormorant are designed to maintain the delicate natural balance. The tourists on whom we depend for financial stability take a toll on the Islands’ resources as well; energy is needed to run hotels, restaurants, visitor sites and tour boats. It was from this spirit of balance and conservation that the San Cristobal Wind Project had its origins. The Wind Project replaces non-renewable energy sources with wind-driven completely renewable energy. By eliminating diesel generated power with the wind-driven turbines’ clean energy, we greatly reduce the carbon footprint and its negative impact on the land and animals around us, while providing much-needed energy. The Project began on October 1, 2007 and within one year, the Wind Powered Park delivered 31% of San Cristobal’s energy consumption. Historically, much of the energy that was provided to the Galapagos Islands had to be shipped as diesel fuel on ocean-going vessels. The fuel was fed to electrical generators throughout the archipelago. The Wind Project’s infancy goes back to the early 1990’s when we became concerned that any diesel fuel spill throughout the Galapagos Islands could threaten our fragile environment. 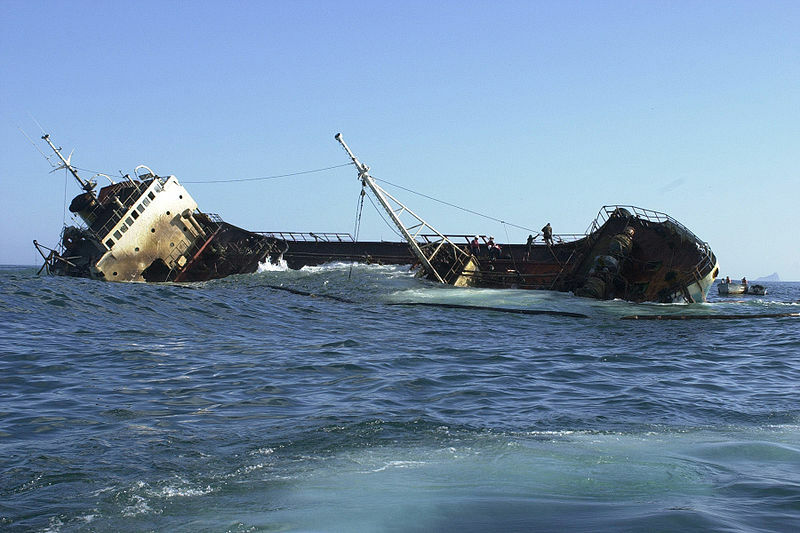 Our concerns were heightened when, in 2001, a tanker ran aground in San Cristobal harbor, releasing significant amounts of oil into the water. 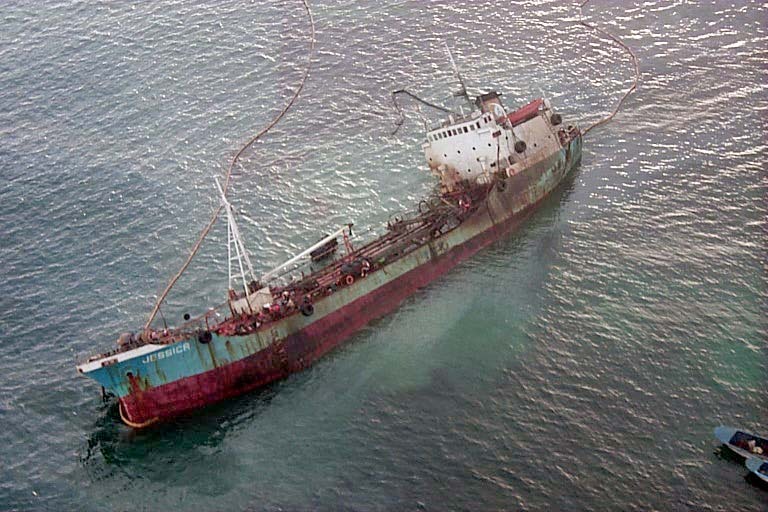 That night, the Ecuadorian tanker Jessica took a wrong turn near San Cristóbal’s harbor, rammed into a reef at Wreck Bay, and ran aground. It spilled more than 660,000 pounds (175,000 gallons) of diesel and fuel oil. The diesel was going to the fuel dispatch station on Baltra, while the fuel oil was destined for a tourist vessel. The short term damage, thankfully, was limited: the spill dirtied seven sea lions and tortoises and killed about 17 pelicans, blue footed boobies and seagulls. 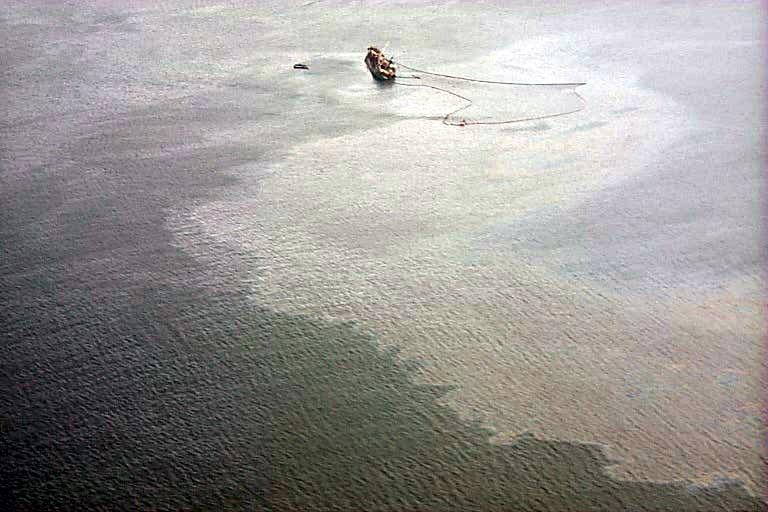 We were incredibly lucky that night when a sudden change in ocean currents washed the oil out to sea and prevented the spill from becoming a greater ecological disaster within the archipelago. This near-disaster provoked much-needed action. Together, the Ecuadorian government, the United Nations and the U.N. Development Programme (UNDP) have sought to mitigate this threat. Very extensive and thoughtful consideration was given to the situs of the Wind Powered Park so as to minimize its impact on the local environment. 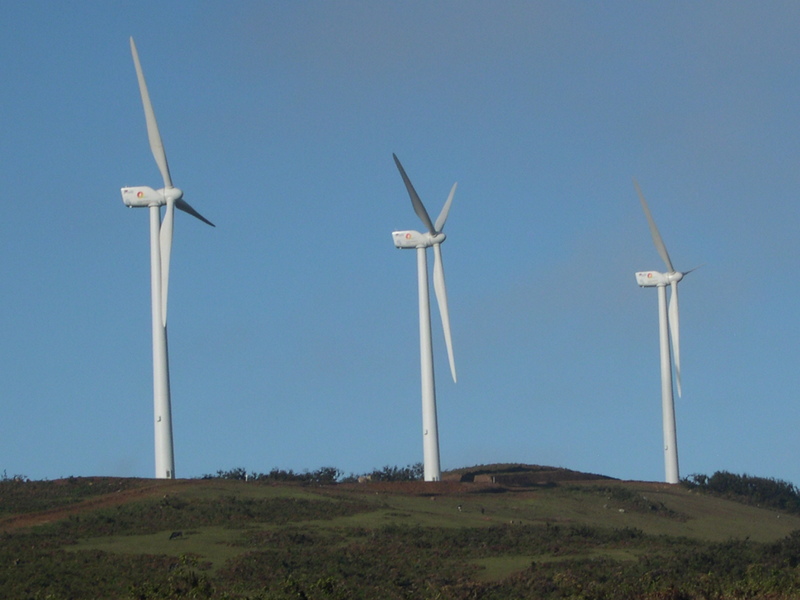 • It provides Elecgalapagos with the operational, technical, environmental and financial knowledge necessary to operate a fleet of wind turbines on a sustained basis. • The project can be a catalyst for needed environmental improvements to the existing diesel generation plant. 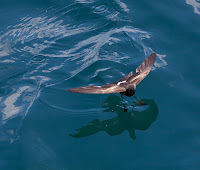 • It serves to demonstrate that if properly developed, operated, and managed, a wind project can co-exist with endangered species, in this case the Galapagos Petrel. • The project provides a road map for the development of wind-diesel hybrid projects on other islands, such as nearby Santa Cruz. • It has enabled the establishment of efficient and effective relationships between the stakeholders at the working level. But, making a decision to create alternative power and actualizing that decision are two very different things. Not the least of the project developers’ concerns was the small gray and white Galapagos petrel bird, which already carried endangered status, with population density down by as much as 80%. 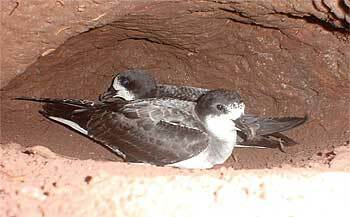 Petrels nest in the shallow burrows in humid highlands on San Cristobal and other islands in the Galapagos. 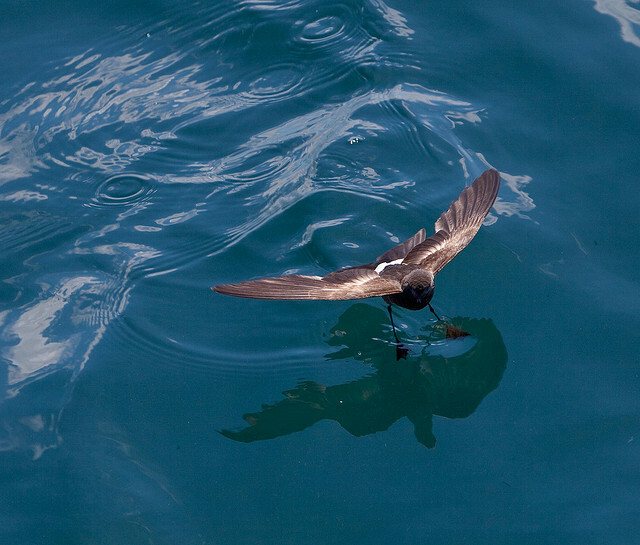 Would the little petrel run the risk of flying into the blades of the wind turbines? Would the petrel be killed or become extinct because man’s good intentions had an adverse impact? Where on San Cristobal could it be safe to place large wind turbines without placing the petrel at risk? Nothing could move forward until these questions were resolved in an environmentally satisfying way. Environmental studies were undertaken. Ultimately, the project developers were allowed to move forward. Since the problem of the petrel was solved and the Galapagos San Cristobal Wind Project was put into action, it has been an enormous success. It has won several awards including the National Energy Globe Award for Ecuador in 2009, the World Energy Award for Best Practices in 2009, and was also named one of the top plants in 2008 by the Power Magazine. And now, the project is serving as a prototype to being a wind turbine project on Baltra Island as well. San Cristobal some day will be virtually free, to the extent technologically feasible, of fossil fuel as a source of energy. It epitomizes the possibilities for sustainable energy development. The Galapagos Eco-Lodge is at the world's forefront of sustainability and relies on the Galapagos Wind Project for its energy needs. 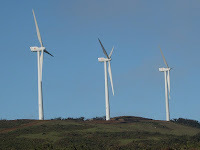 For a comprehensive article about the Wind Project, click here.